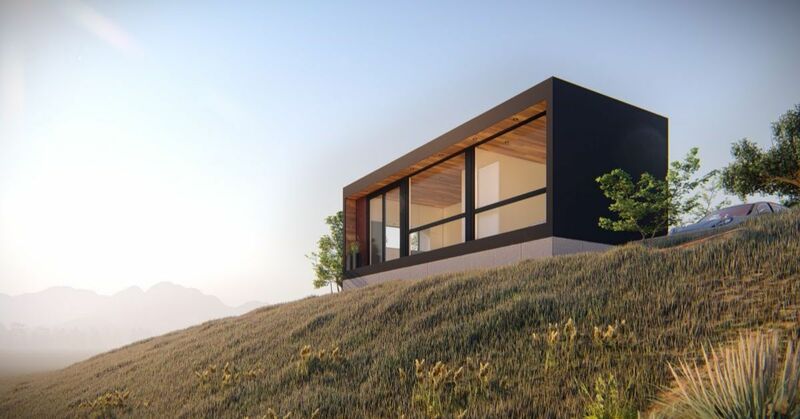 Contemporary design/build firm Honomobo specializes in creating modular homes that are modern and sustainable. 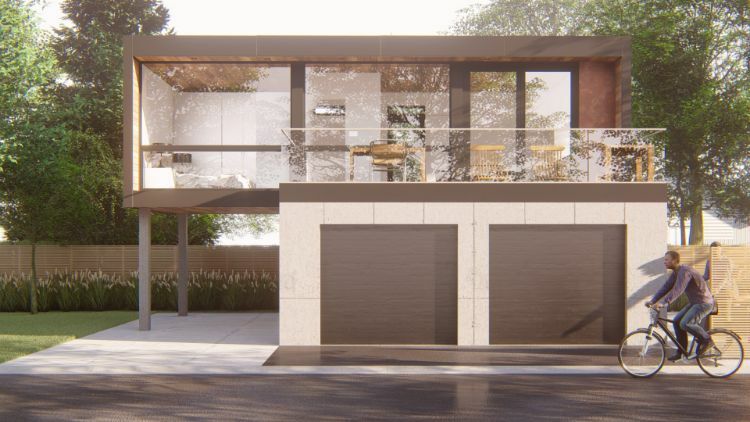 Another key tenet is an indoor/outdoor connection, which is front and center in the M1 model, which boasts 31 feet of floor-to-ceiling glass on the home's front. The M1 features a one-piece modular design that can be installed quickly and efficiently in a variety of locations. 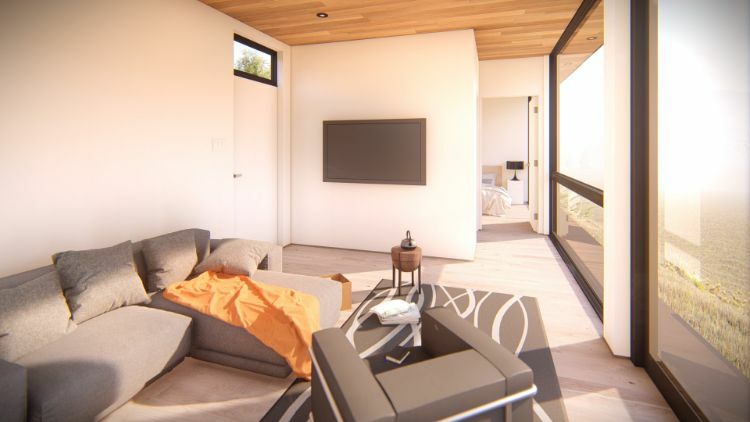 Of course, sustainability is also of utmost importance, so the M1 model is equipped with an all-electric system that can use renewable energy sources for part or all of the home's energy needs. 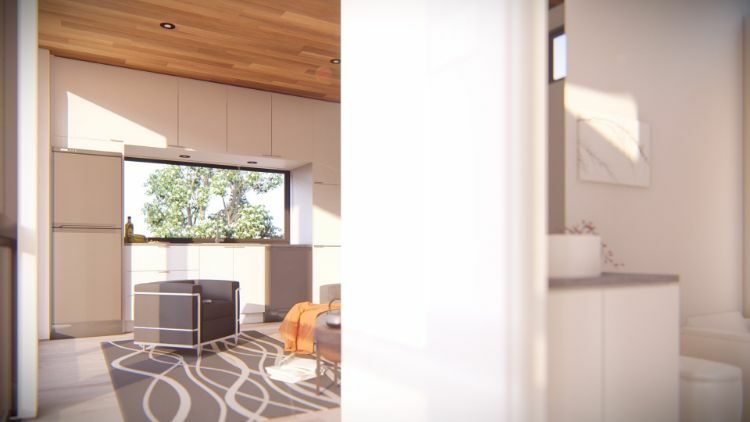 In the living room, light flows in through floor-to-ceiling glass windows. At 14 feet deep, the space offers ample room for a sectional sofa, coffee table and armchair. The kitchen is integrated next to the living room in the open floor plan to take advantage of every inch of the home's 419 square feet. 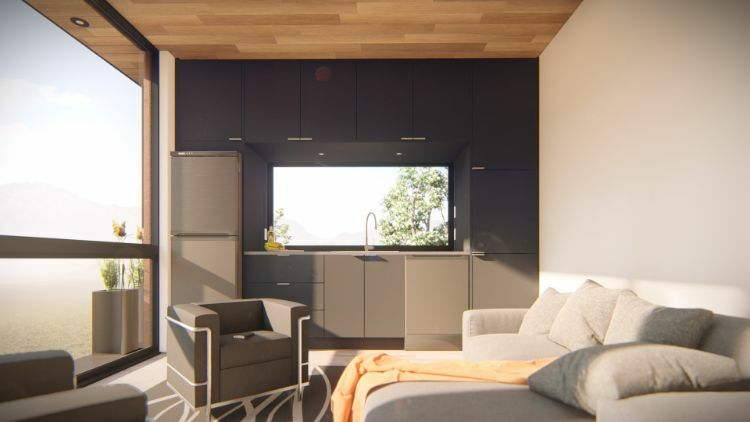 A sleek, modern design incorporates streamlined cabinetry and stainless steel appliances coupled with minimal cabinet hardware. 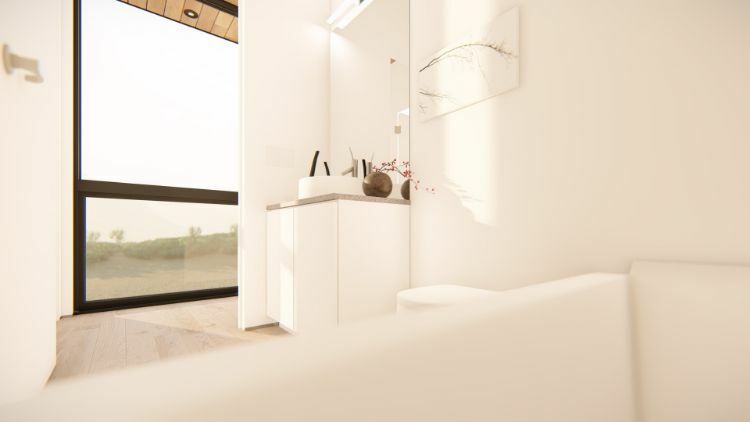 The bathroom is positioned between the living area and bedroom to maximize space. A contemporary look continues in the bathroom, which features a roomy soaking tub, modern vessel sink and vanity with minimal hardware. The bedroom is spacious at more than 10 by 9 feet, big enough to accommodate a queen bed. The space also features built-in wardrobes for closet and storage space. Light hardwood floors create an airy design throughout to emphasis the natural sunlight. An alternative design option features slate gray cabinetry, a sleek match for matte stainless appliances. 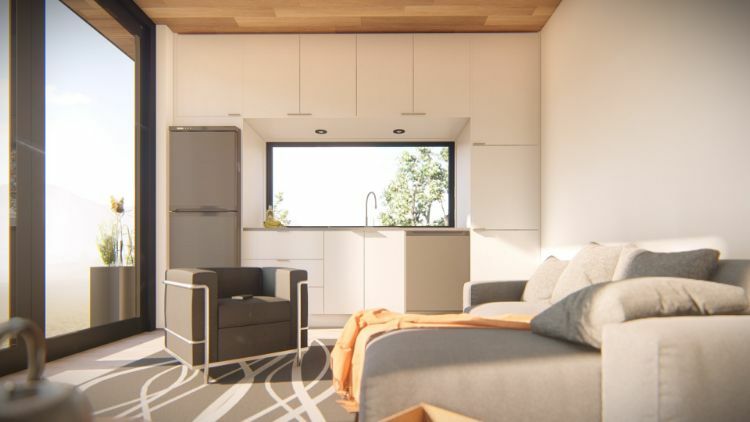 The best thing about Honomobo container homes is their versatility. The M1 is equally at home in the countryside as in an urban environment, such as this option built on stilts and featuring a container two-car garage.